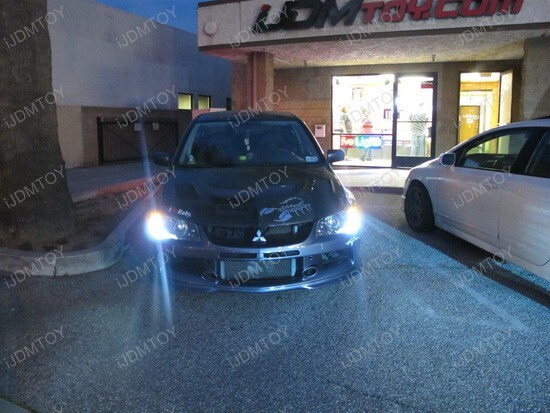 If you think that a 2003 Volvo S40 can’t come up with something cool, then think again – this ride has a brand new 1157 Switchback LED package installed and definitely stands out. 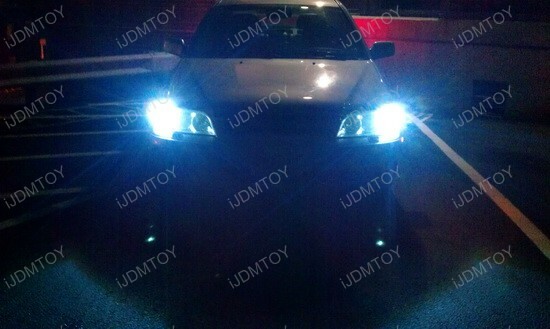 The owner replaced his front turn signal stock bulbs with these "switchback" LED bulbs and the difference is obvious. 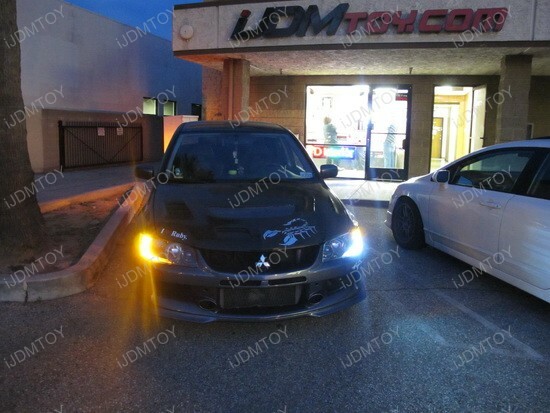 The featured 1157 Dual Color LED bulbs light up the parking lights in very nice Xenon White color, that perfectly matches HID headlights and when you use the turn signals, they will alternate from white to flashing amber. 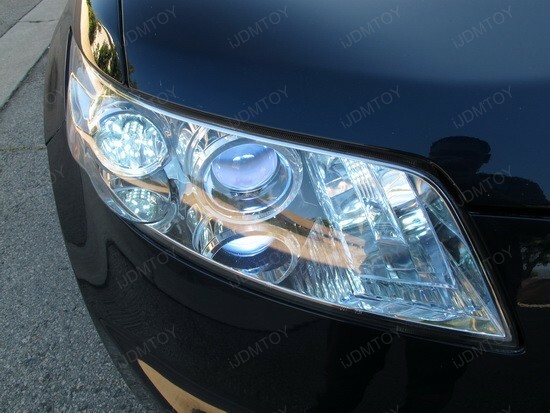 This allows you to gain a uniform white appearance in the front of the vehicle at night, while still having amber turn signals. 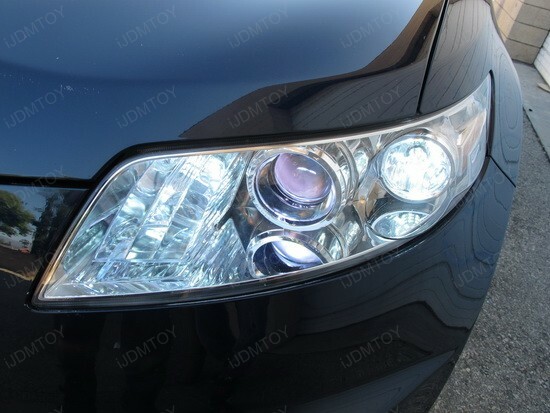 And if you own a Volvo like this one here, replacing the bulbs will take you just a few minutes. First you have to open the hood, then look at the signal assembly from above and you’ll notice a screw that holds it. Loosen it and the signal assembly should slide out, allowing for access to the harness and socket. 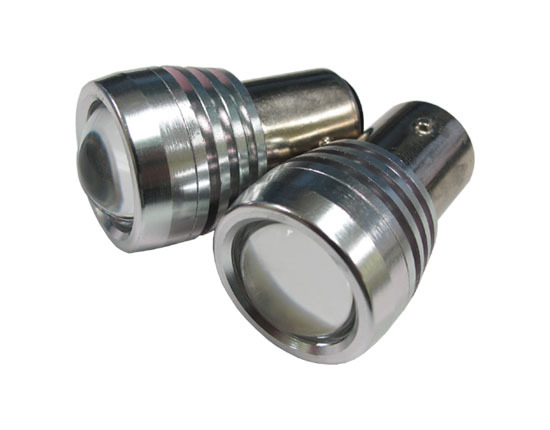 Then unplug the adapter and replace the old bulb with the new 1157 Switchback LED bulb. Before you put things back together, test if everything is working fine, then proceed with the other front turn signal. Please note you might need to add a pair of load resistors to prevent hyper flashing or malfunction problem. 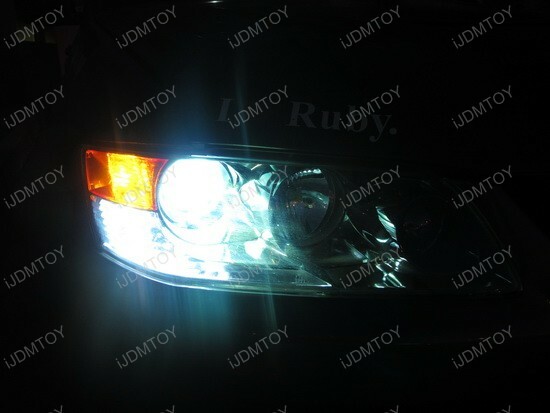 By adding a resistor to the bulb’s circuit, you can mimic the power consumption of the original bulb, and return the vehicle to normal turn signal speed. 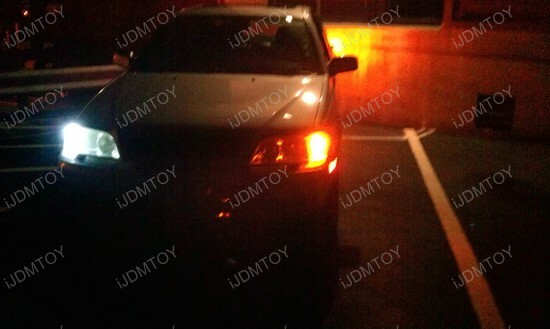 I hope you like this upgraded 2003 Volvo S40 with 1157 Dual Color LED lights, and if you haven’t noticed, these bulbs are with magnified projectors in front, which means they are 2-3 times brighter than conventional LED bulbs even in the daytime. 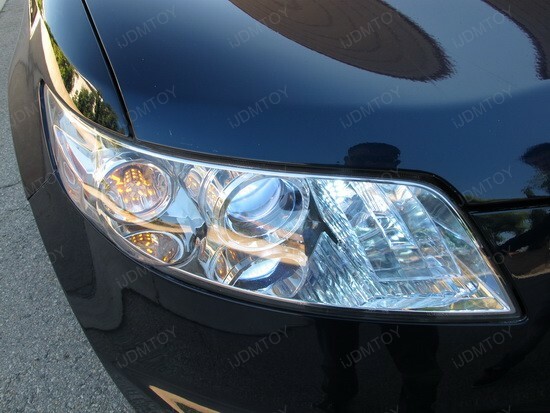 This bulb is only suitable for front turn signals with a dual filament bulb (1157, 2057, 2357, 7528 etc), when there is a clear reflector. 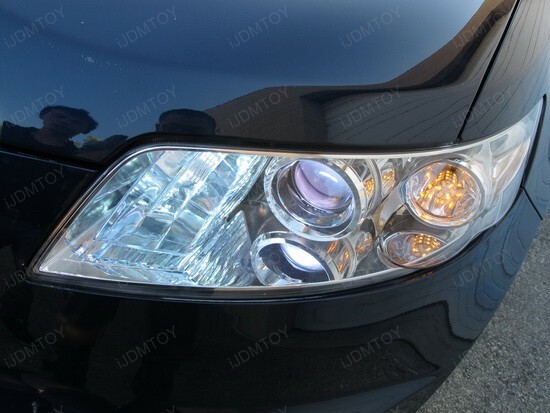 So, if the featured bulb is suitable for your car, then definitely should think about getting a pair!